Everyday Looper allows you to record 4 musical phrases – 6 on an iPad – and loop them right away. You can then mix and merge them on the fly. Thanks to the metronome (click track) and the auto start/stop of recording (quantized recording), reachable in the tools and options menu, it’s suited for two-handed instruments too. Search YouTube for “Everyday Looper” to see many great user videos ! • Pan your tracks. Compatible devices : iPhone 3GS, iPod Touch 3G, iPad and newer. • Record, Play/Pause and Stop can be triggered by a MIDI controller through Core MIDI. 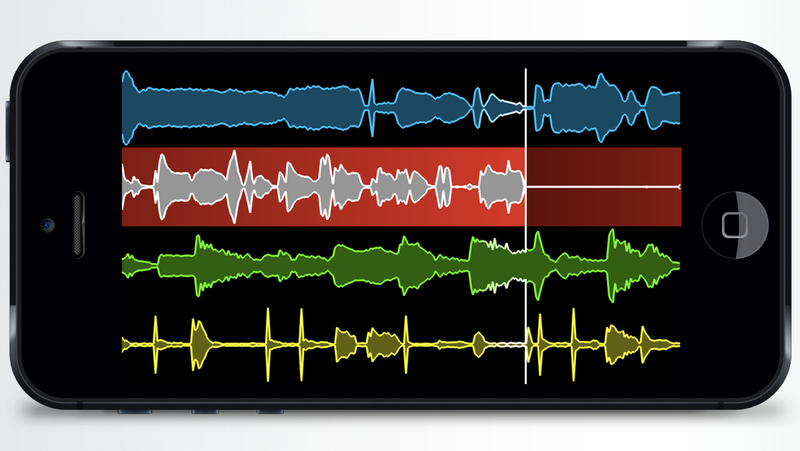 • Copy and paste tracks to and from other audio apps. Great for using that nice beat you laid down in BeatMaker as a “de luxe” metronome.